"Waiting On" Wednesday is a weekly event, hosted by Breaking the Spine, that spotlights upcoming releases that we're eagerly anticipating. I will not lose another person I love. I will not let history repeat itself. Vincent waited lifetimes to find me, but in an instant our future together has been shattered. He was betrayed by Violette, someone we both called a friend, and I lost him. Now Violette is determined to rule over France's immortals, and she's willing to wage a war to get what she wants. It shouldn't be possible, none of it should be, but this is my reality. I know Vincent is somewhere out there, I know he's not completely gone, and I will do anything to save him. After what we've already fought to achieve, a life without Vincent is unimaginable. He once swore to avoid dying—to go against his nature and forsake sacrificing himself for others—so that we could be together. How can I not risk everything to bring my love back to me? Why I am lurking on this: I may not have read book two, Until I Die, yet but I'm pretty sure this whole series is amazing, so of course I'm lurking on book three. Anyone with me? Why I am lurking on this: I'm not very musical, but maybe that's exactly why books about music fascinate me. And magic and song are always a good combination. I'm aboslutely looking forward to reading this! I'm waiting for this one too! Looking forward to finishing off the series. I haven't started the Revenants series yet, though I'd like too. 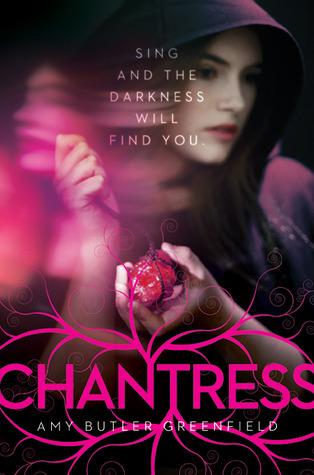 Chantress sounds awesome too, and I hope the cover. I enjoy books about music too! 🙂 Thanks for sharing! Chantress is also on my wish list! Oh, Chantress looks gorgeous! Thanks for sharing! I haven't read any of the Revenants series unfortunately,but I've been hearing great things from people who got a hold of the arc. I actually have Chantress waiting for me to read right now, and it looks so fantastic. Pretty covers. These both are new to me. Thanks so much for sharing and for stopping by my post, hon. To tell you the truth, I didn't much like the first Revenants book and although I have the second one on my Kindle, I haven't actually decided to read it. Not yet anyway. Chantress sounds tempting though 🙂 Thanks for the reveal! Wonderful picks. I can't wait for If I Should Die. I have Chantress, but I haven't got a chance to read it yet. Thanks for stopping by my WoW. Great picks! I've had an ARC for Chantress for the longest time but somehow I never find time to get to it >.< It sound so unique!! I still haven't read the first book in the Revenants series yet, although it's on my never ending tbr list, and Chantress is also something I'm looking forward to.